Five minutes after Grant McCormick turned on the Wi-Fi at USO Camp Aachen, he noticed a small group of soldiers leaning against the half-finished center building, phones in hand. “They had logged on to the signal,” said McCormick, who serves as USO Europe’s area director in Germany. Two hours later, McCormick, who was then working with contractors to complete the now-open center in Western Germany, looked outside again and saw that the small group had ballooned to more than 20 people. “They were just standing out there in the rain, on their phones,” he said. So he decided to let them all in. The USO has connected America’s service members with home since 1941. In 2015, after recognizing the need for an increased presence in military communities both stateside and abroad, the organization launched an aggressive center expansion effort to bring its hallmark connectivity, entertainment and programming to more service members and families. The USO, which started 2015 with roughly 160 locations worldwide, recently put permanent centers in never-before-served locations like Africa, Alaska and several military entrance processing centers. The organization opened 15 centers in 2015 and will open at least a half dozen more in 2016. Additionally, the USO plans to grow its physical presence in Europe, the Pacific and even Southwest Asia as needs in those regions evolve. “These aren’t locations that have 100 troops,” said USO Vice President of Field Operations Kristen Baxter. “These have always been pretty big in terms of locations, populations that are probably underserved. American service members have traditionally brought families along on two- or three-year assignments in Europe. But USO officials on the ground there are seeing more service men and women opting to serve these assignments alone. That’s changed how USO Europe, which historically tailored its 22 centers to support full military families, approached its programming at newly opened centers like the one at Camp Aachen. Many new USO centers in Europe are near training areas where there are few, if any, places for service members to relax and dial up their families back home. 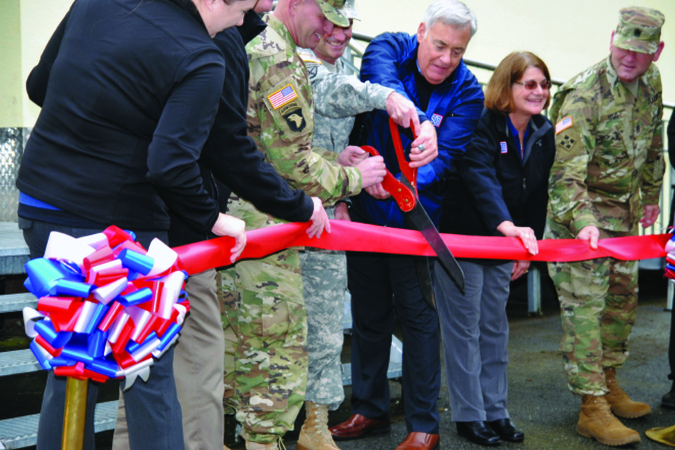 Although the USO is focused on expanding its worldwide center presence in 2016, the organization will continue to adapt and grow its support of the increasing number of small units serving in geographically isolated areas. Service members deployed for missions like Operation Atlantic Resolve—NATO’s response to Russia’s invasion of Ukraine—and Operation Inherent Resolve, the name for the targeted strikes against Islamic State positions in Iraq and Syria, still need USO support. “For us to be able to figure out the best way to adapt our services and deliver programs in a cost-effective way to those constituents [in hard-to-reach areas] is really important for us to do,” Reyes said. The USO got back into the Iraq center business in 2015, building three new, volunteer-operated locations to provide entertainment and connectivity services to troops. These unmanned locations all feature the same basic amenities found in any USO center, including TVs, free Wi-Fi and reliable telephone service. While visa restrictions keep the USO from operating a staffed center in the country, the new locations still allow the organization to get services directly to troops. 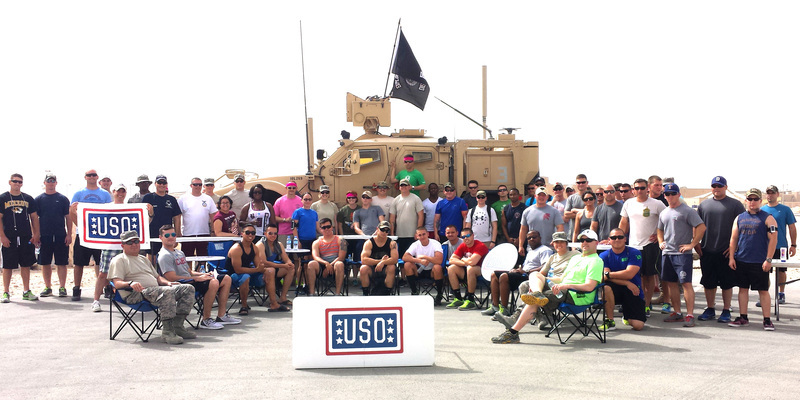 Donate today to help the USO deliver much-needed services to military members serving in remote and restricted areas. Even with an aggressive center expansion plan, the USO will never be able to build enough centers to serve every service member. That’s why the organization has been actively developing ways to send its signature services to troops in remote, austere locations. The USO works with the military to send USO2GO units, Mobile Entertainment Gaming Systems, Holiday Boxes, satellite connectivity kits and more to service members who have little else in the field.